2019 PDF Catalog - Download click here. We are finsihing winter clean up and what a winter it has been. Due to injuries we will not be taking any more mail orders after March 4th with the exception of Hepaticas and Hardy Orchids. All sales will be at the Nursery, come see what we have in our 3.5 acre farm. Shipping Notice: We	start shipping as weather permits on orders received or post Marked before March 4th. After March 4th we will only take orders for Hepaticas and Hardy Orchids. Due to injuries to shipping staff we will not be taking orders for other plants, all sales will be at the Nursery. 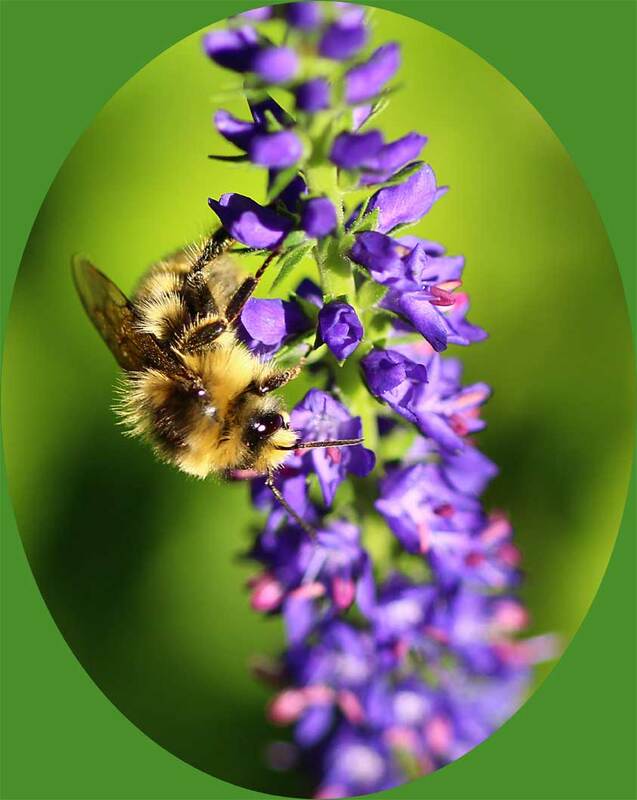 We have a great selection of perennials , trees , shrubs, groundcovers, fruit, flowering and nut trees year round as well as the plants listed on our site. So come visit the nursery. Welcome to Fraser's Thimble Farms website. We are a mail order nursery that specialises in rare, unusual and native plants. A few of our specialties include North American native plants; Hardy Orchids, especially Cypripediums (Lady Slippers), and Hardy Ferns. We ship within Canada and the United States (other countries by special arrangement). Please browse our website or PDF catalogue for a look at the many unique and beautiful plants we offer. Our pages are often long so please scroll down to view the complete listing. 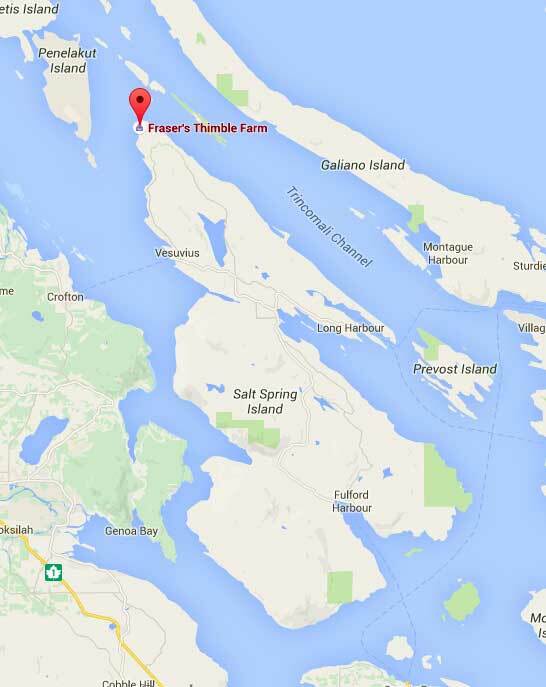 Our nursery is located on SaltSpring Island, the largest of B.C's Gulf Islands. We have over 3 acres of nursery stock including many plants not listed on the website. We are open to the public and our hours are at the bottom of this page. We look forward to helping you create a beautiful garden full of treasures from around the world. Welcome to our 2019 catalogue. Well 2018 was a great year… at least up to December 20th when we were smacked hard by the “Wind Storm”. It undid several months worth of cleaning and put us a little behind. Fortunately though, apart from a mountain of debris and branches and a months worth of eatra cleaning we had no “real damage”. As a result of the summer drought and the wind storm we are behind on Hellebore production so we will be saving most Hellebores for Sale at the Nursery and limiting the sale of Hellebores via mailorder to a maximum of five Hellebores per person. We have added a smattering of plants to our selections, a little in all the right places, throughout the nursery ( Japanese Hepaticas, Ferns, hardy Orchids etc…) We will be adding many more as the season progresses and a lot more for walk in shopping at the nursery. We would like to encourage people to visit the Nursery as the website only lists a small portion of what is available on site. We have three and a half acres stuffed with plants including a huge selection of fruit trees and edible berry bearing shrubs and every plant, tree, shrub and perennial we can get our hands on. Our first major event in 2019 will be ‘Helleborganza’(Hellebores), March 1st-March 31st. 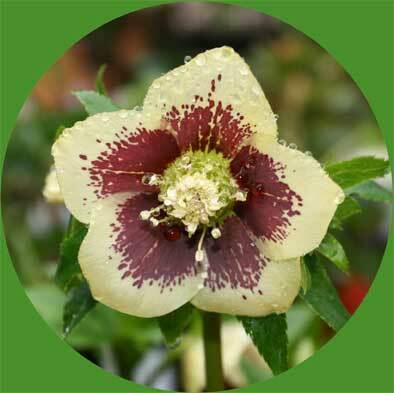 Helleborganza is our celebration of hellebores and other early blooming perennials including species snowdrops, flowering cherry trees, Adonis and double hepaticas to name a few. We expect an excellent display from our hepaticas this season as we had great growth last year. We are absolutely hellebore crazy and love to see the reaction of people (especially those new to hellebores) when they see the incredible diversity in both blooms and foliage at a time of year when we can all use more colour in our gardens. We owe a huge debt of gratitude to the dedicated hellebore breeders around the world who have toiled over the last twenty odd years to bring us so many fine plants. The event will run over a month this year as every day more and more plants come into bloom. As we did last year, we will also offer an assortment of smaller and larger plant sizes. Please see our website, www.thimblefarms.com for mouth watering pictures. This year we have increased our numbers in the varieties and strains we believe have the best flower colour and put on the best show, like the Winter Jewels strains. Discounts and specials will be offered at the nursery at this time. We would like to offer a PDF version of the catalogue via email as well as occasional emails about new offerings. If you would like to receive these emails please see the instructions on page two. New plants will be posted on our Facebook page as well as a new page on our web site called ‘New Plants’ before being posted in the main listing of the website. This way we will be able to post new plants throughout the year. Native and North American Native (N.A. Native) plants are indicated as such. Native means plants that are indigenous to the Pacific Northwest; which for our purposes is defined as Alaska, British Columbia, Washington, Oregon and Northern California. In most cases; however, the plants are native to British Columbia. Plant height (Ht.) or occasionally flower height (Fl.Ht.) is given next in our descriptions, followed by hardiness zone (Z). Most of coastal B.C. is zone 8; the Gulf Islands and most of Victoria are zone 9. To determine what zone you are in, refer to the table on page 2 and remember that the temperatures listed are the twenty year, annual low temperature range in Celsius or Fahrenheit. They are not the absolute low for the zone. As all plants are container grown, we state pot size along with plant prices to give an indication of the size of the plant, which will vary depending on species. Pot sizes are standard nursery pots; 1gal = 1gallon pot etc. Prices listed are F.O.B. our farm. Shipping and mail order information is at the back of the catalogue.